Lamplighter – Case Study - Branding, Web Design, Interior Design Studio in Richmond Virginia — Campfire & Co.
From the care and attention each farmer gives to the beans, to the relationships built between growers and roasters, to the shared ritual of sipping coffee with friends, the founders of Lamplighter believe in the power of people and building community. Every coffee variety at Lamplighter is specialty-grade and roasted by hand in small batches in Richmond, Virginia. 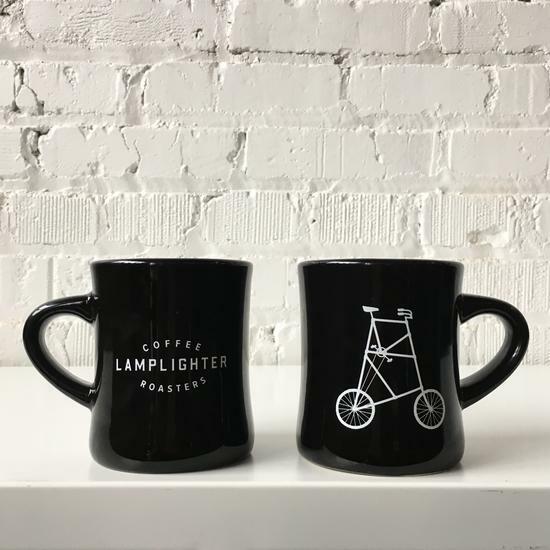 After nearly 10 years, the Lamplighter Coffee Roasters brand needed a bit of refresh. With big plans for national growth, the Lamplighter crew needed a collection of graphic marks that scaled appropriately, applied easily to packaging and swag, and were readily available in a variety of formats. Campfire & Co. tightened up the beloved tall bike graphic, recreated the typeface mark, and organized the entire graphic identity into a cohesive Brand Guide.